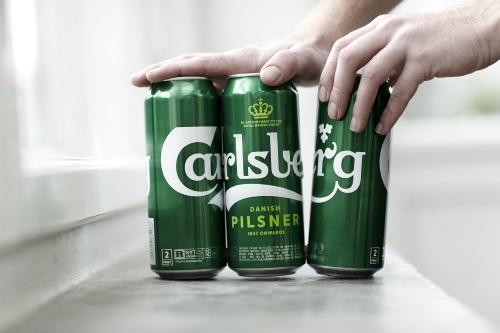 The Carlsberg Group is using KHS subsidiary NMP System’s Nature MultiPack to combine its beverage cans with adhesive dots instead of shrink-wrapping, hi-cone rings and other secondary packaging solutions. The innovation has been invented by NMP Systems, and developed together with Carlsberg over the past three years. It is now being launched as a world premiere for cans under the name Snap Pack. The filled cans are connected with a few adhesive dots and the cans can easily be separated with a movement. The brewery group expects that by dispensing with shrink-wrapping in its can packs, up to 76% of plastic can be saved – in absolute figures this amounts to more than 1,200 tons per year, when fully rolled out. The brewery will first be selling it in the UK and Norway with Denmark, Carlsberg’s home country, following in early 2019.